A Medium Size, Colorful, Very Well Made, N.E. 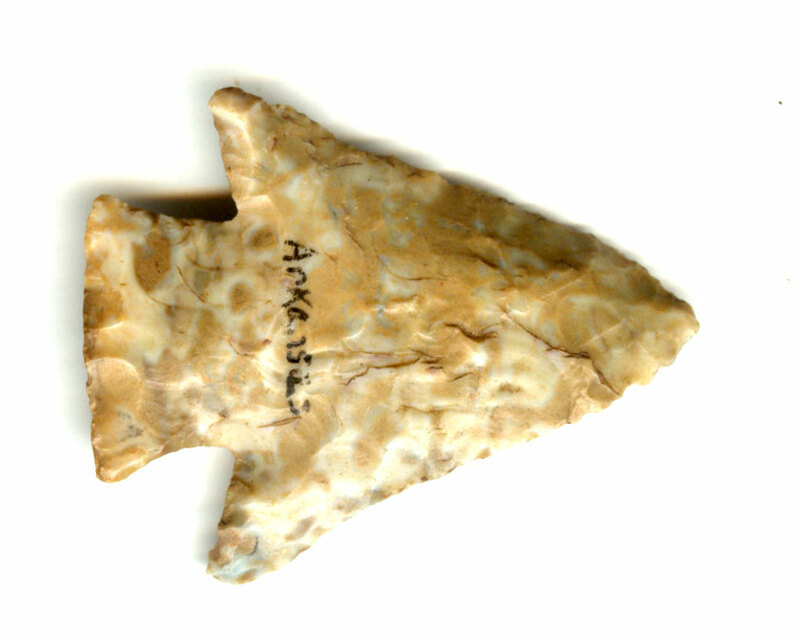 Arkansas Hardin Point That Exhibits Stone Sheen And Surface Aging Coloration Patination, Aging In The Basal Stem Notches, Correct Blade Sharpening Use Reduction, Overall Polished Aged Surface Wear, Correct Rolled Basal Stem Edge Hafting Dulling, Correct Type Material And Manufacture For The Area Found. Ex-Winston Ellison, Ken Partain, Terry Allen And Roy Morley Collections. This Is An Excellent, Colorful, Example! Includes Dwain Rogers And Ken Partain Certificates Of Authenticity!